The Borisov Arena is the recently opened new home of BATE Borisov and the temporary standard playing venue of the Belarus national team. 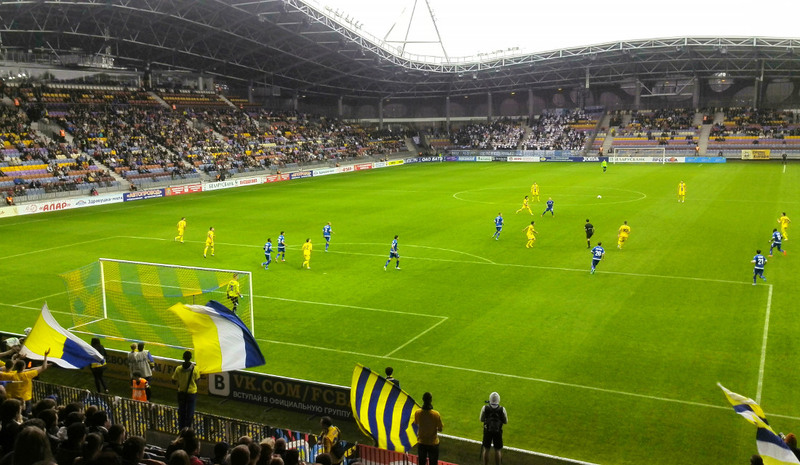 BATE started exploring the possibility of building a new stadium following their success in reaching the group stages of the Champions and Europea League in 2008 and 2009. Since their home ground, Haradzki Stadyon, in Barysaw did not meet UEFA requirements, they had to play their European games in nearby Minsk. Construction of the new arena started in 2010 and was completed 3.5 years later. The Borisov Arena officially opened on 3 May 2014 with the Belarus Cup final between Neman Grodno and Shakhtyor Soligorsk (0-1). The Borisov Arena has also become the standard playing venue of the Belarus national team while Dinamo Stadium is undergoing major redevelopment works. The Borisov Arena is located on the south-western edge of the small city of Barysaw (Borisov). It lies a little over 4 kilometres from Revolution Avenue in Barysaw’s city centre and a kilometre more from the main rail station. You can get to the stadium with bus 10 or 10a. Catch the bus from the main rail station or Revolution Avenue and get off at stop Borisov Arena. Bus 9 and 9a are alternatives that run along Haharyna (Gagarina) street west of the city centre to the north of the city. Trains run from Minsk Pasazyrski station to Barysaw that take just under an hour to arrive. There is a decent number of trains a day but not too frequent so it’s worthing checking timetables first. Even less frequent regional trains depart from Minsk Uschodni station that also stop at station Piacynski (Pechynski), which lies about a kilometre south of the Borisov Arena (15-minute walk). The slower journey takes about half an hour longer. Barysaw’s coach station is located closer to the arena, roughly 2.5 kilometres, which is just at walking distance (30 minutes), or catch bus 9, 9a, 10, or 10a that run along Gagarina street. The Borisov Arena is located on the edge of the city surrounded by forests, office parks, and some residential housing. There is not much to see or do near the stadium so little reason to head over long before the match. Barysaw is a rather sleepy city so there isn’t much to do elsewhere either, but you’ll be able to find a few places to eat or drink in central Barysaw around Revolution Avenue or around Gagarina street near the coach station. There are barely any hotels in Barysaw so your choice is either to go for one of the very basic options or pick one of the apartment rentals around the city. Click here to explore the options. Tickets for BATE games can be bought at the fan shop at the Borisov Arena or at the Ticketpro office at Prospekt Maserava 25 (ул. Машерова, 25) in central Minsk. 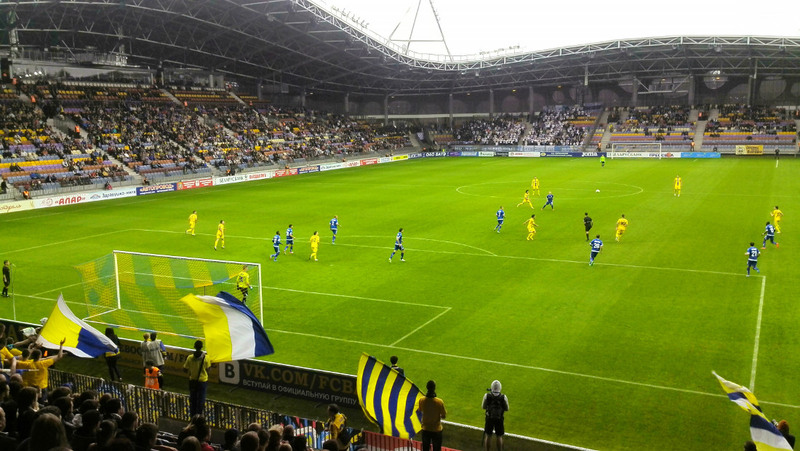 Despite having the highest attendances in Belarus’ top league, BATE Borisov rarely sell out a league match. Ticket prices range from BYN 3.00 for a seat behind the goal to BYN 15.00 for a VIP seat at the main stand. 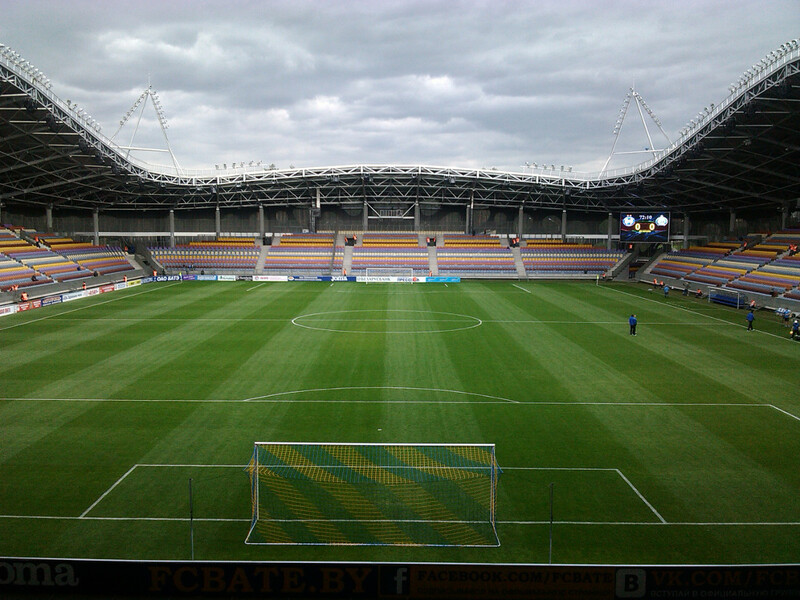 Fcbaty.by – Official website of FC BATE Borisov.